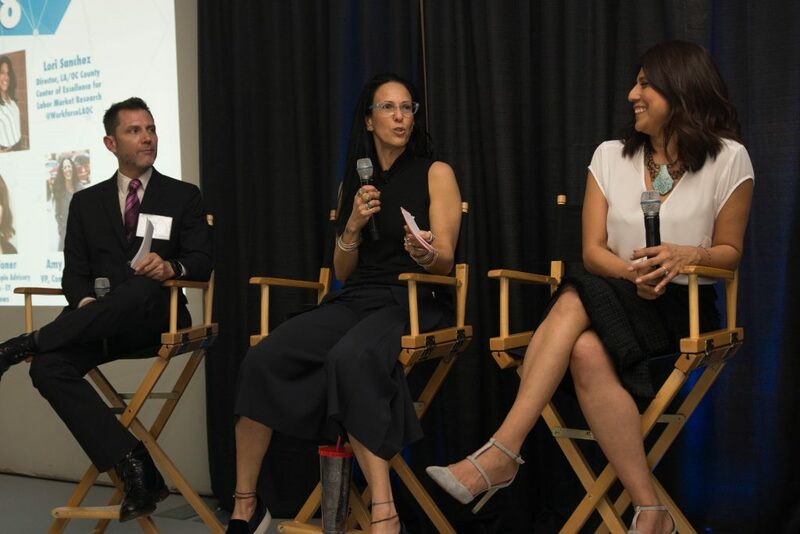 Contend’s Amy Blackman shares valuable insight into how AI can drive design to a packed house. 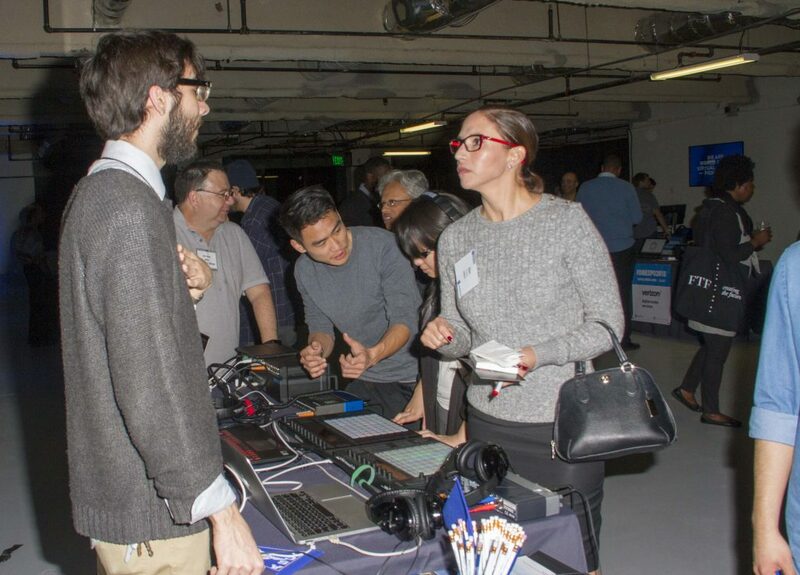 LAEDC hosted the first public meeting of its new Digital Media & Entertainment Council, paired with a Digital Media Expo on 2/8/18. 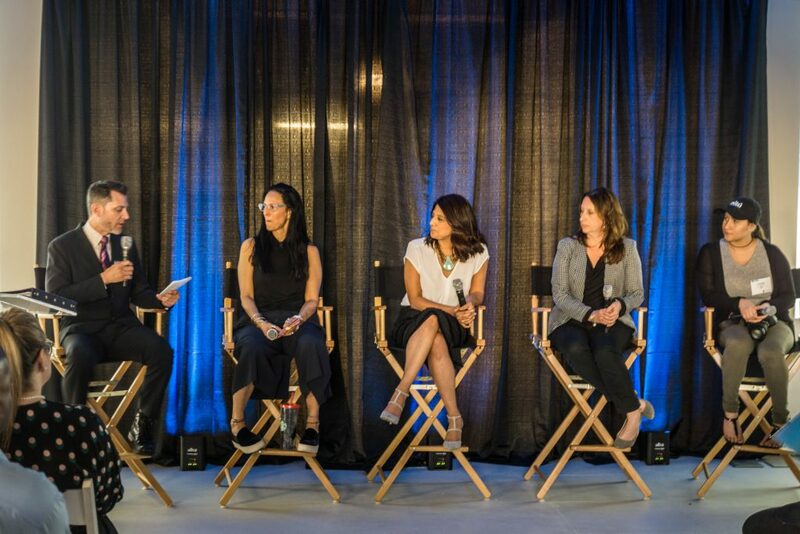 The expert panel discussed the new industry report on Digital Media & Entertainment and its talent needs, and the expo showcased a dozen innovative L.A. digital media companies, as a nod to the transformation occuring in the Entertainment industry. Director of Innovation and Digital Media & Entertainment Industry Cluster Development Chris Rico poses questions to our esteemed panelists. 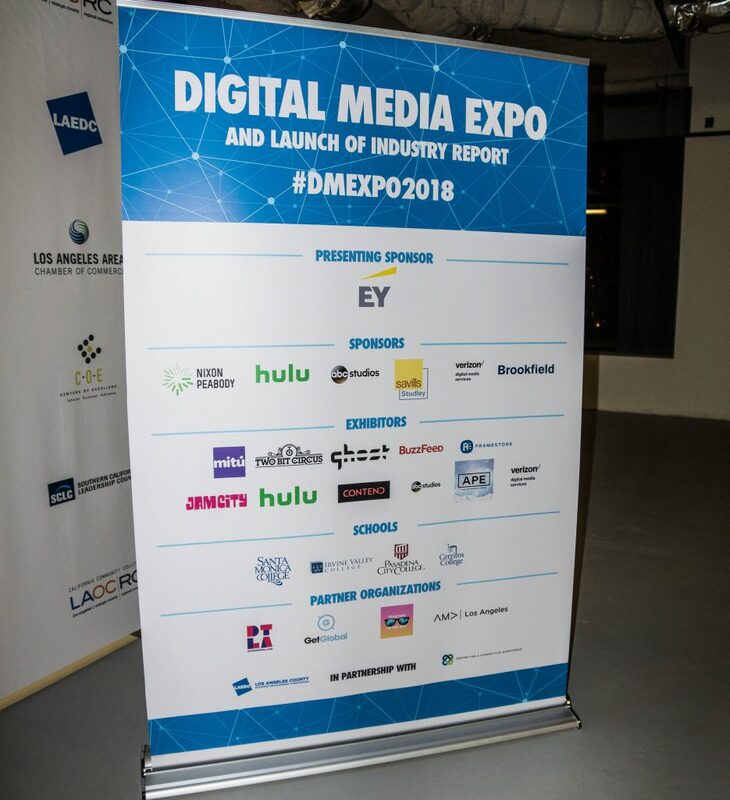 LAEDC’s new DME Council is a network of Southern California-based leaders dedicated to promoting and further developing Southern California’s competitive strength in Digital Media and Entertainment (DME), including film, television, streaming, gaming, VR, AR and digital advertising. 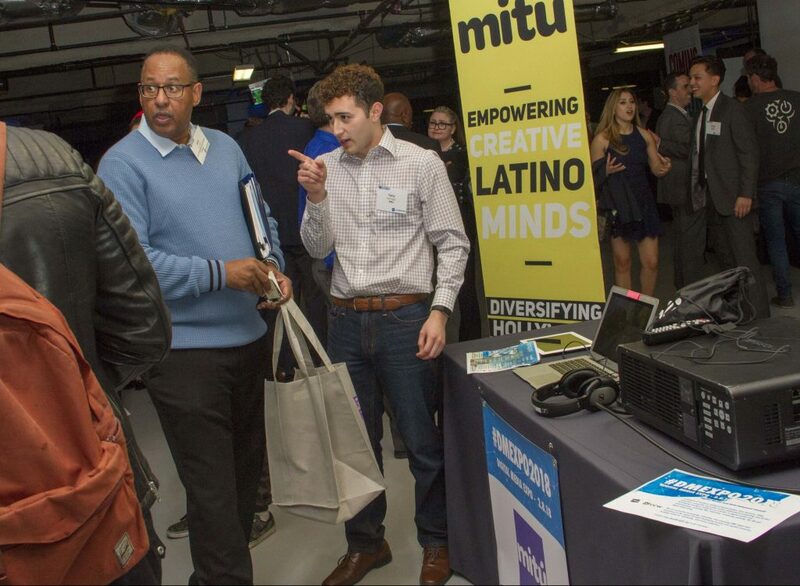 We are committed to growing, attracting, and retaining DME talent and investment in the region through developing human and capital resources, building networks, marketing, and policy initiatives. Through this work, job creation is fostered, creating economic opportunity for our region’s residents. Lori Sanchez and Chris Rico look on as Amy Blackman answers a question. 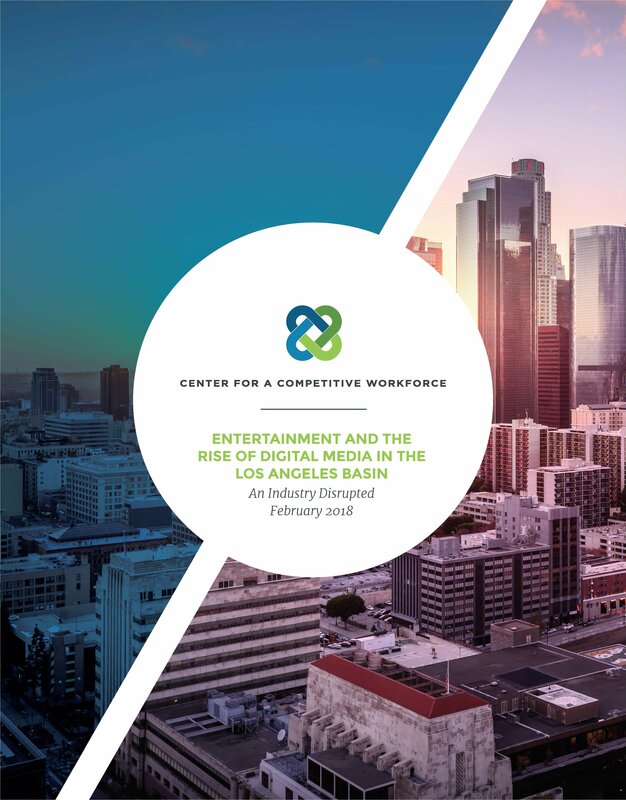 The first focus for the Council is talent development, and the new report, produced by Center for a Competitive Workforce (CCW) took a deep-dive look at forecasted job openings in middle-skill occupations in the DME industry, and compared that to the talent supply from the 19 community colleges in greater Los Angeles. The report revealed opportunity for businesses to partner with the college system to develop curricula, opportunity for residents who want to gain a career in the industry, and opportunity for colleges to partner with business to get feedback on course and programs to ensure the right skills are being taught. Learn more about that report HERE. 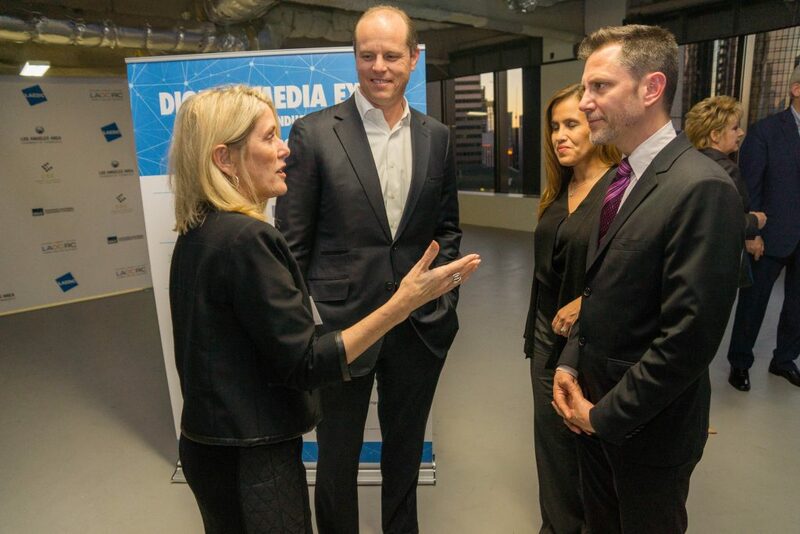 Chris Rico connects with Scott Porter, EY, Gaude Paez, Hulu and Lisa Solana, 3 of the 4 DME Co-Chairs. 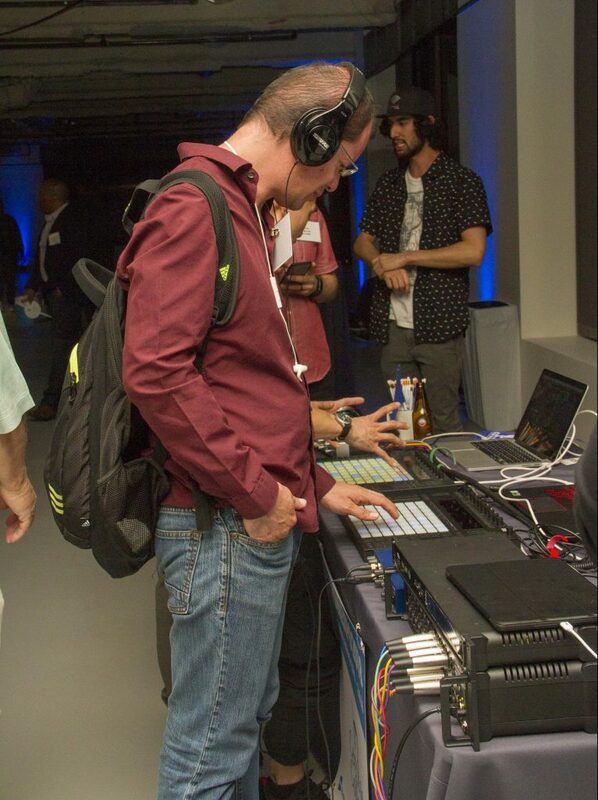 To learn more about the alignment of the college system with the industry, and find programs that prepare students for these middle skills jobs, please visit the CCW website. An incredible group of Sponsors, Exhibitors and Marketing Partners were assembled.